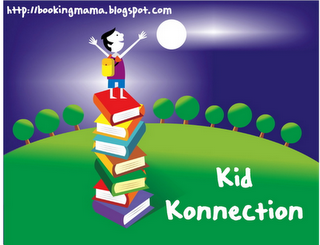 My children and I liked this book for its originality—both in the story and the colourful quirky illustrations. By using the metaphor of colour to show being different is okay, the author has allowed for its application to all differences, not just skin colour. It could encompass physical and intellectual differences, multi-cultural and linguistic differences, as well as religious differences. The story is a great way to introduce young children to tolerance and acceptance, and also to help them celebrate their own differences or uniqueness. A parent can easily bring up how special their child is because there is no one in the world like them. 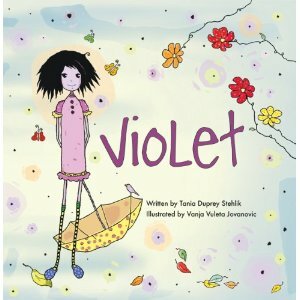 Helping children be proud of who they are, as Violet was, is also an important lesson derived from this story. The illustrator’s style is well suited to these themes and makes a beautiful book. I may be biased, though, because violet or purple is my favourite colour. The book trailer is so cute and really worth watching! Thanks so much for sharing! This book does sound wonderful and a great way to introduce so many important topics. I also am drawn to all of the purple! I'm drawn to that gorgeous cover, so I'm glad to see the book is so good! Awe...thanks for introducing a lovely book!